(Too Much) Fun I’m Having With Homemade Brownie Mix, Bread Mix, Pancake Mix, and More! In the past, I felt that mixes like this were silly. 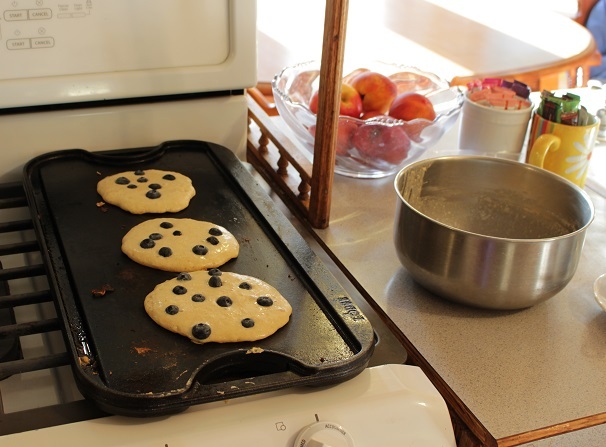 After all, is it really all that difficult to get out necessary pancake ingredients and mix up a batch? No. Will I actually turn into a complete disaster if I have to measure flour and baking powder into a bowl every time I need to bake a cake? C’mon now. But days are full, life is short, and the truth is that sometimes I DON’T have time to measure salt and yeast, so there. Some days it’s all I can do to remember the location of our soccer game and get everyone fed and there on time. But never fear. Everything will be okay now because I HAVE MUFFIN MIX. 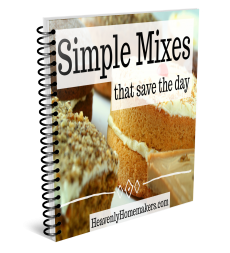 The book full of Simple Mixes recipes is FREE for Simple Meals members! As you can see, I have had the most fun playing with all my new Simple Mixes. I’m here to tell you that it actually does save time to make pancakes from a mix instead of getting out all ingredients and making them from ground zero. And it definitely saves brain energy. (This calls for high-fives all around.) 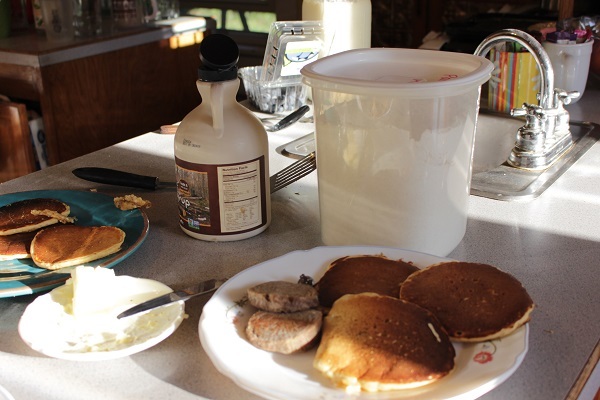 When making pancakes from my homemade mix, I have our hot breakfast on the table within ten minutes. 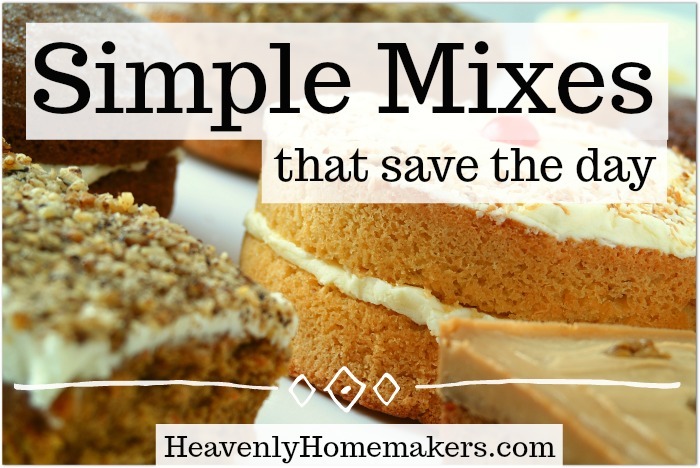 God has given me many opportunities to feed housefuls of extra people lately, so even beyond feeding my family, I’m finding these Simple Mixes to be a HUGE help in spreading the yummy food love. 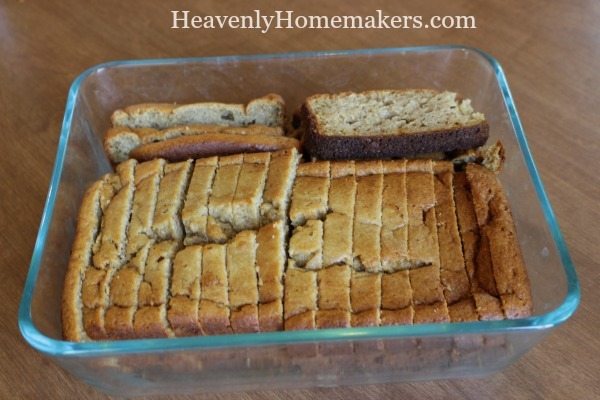 I used the Muffin Mix to make Banana Bread one morning (even though the recipes included are actually for muffins). It worked! Though I dumped in too much milk and the bread sunk a little after I pulled it out of the oven. No worries. It all got eaten! 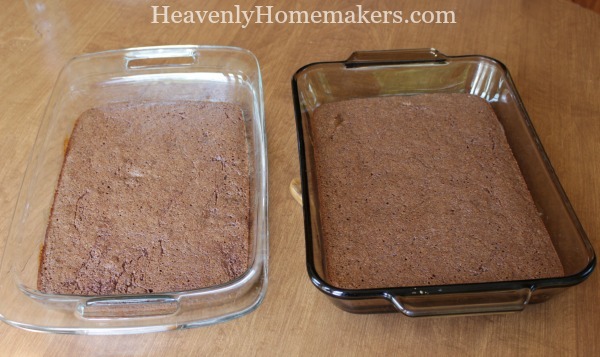 I used the Brownie Mix to make two pans of brownies to feed extra college students who came over for meals. 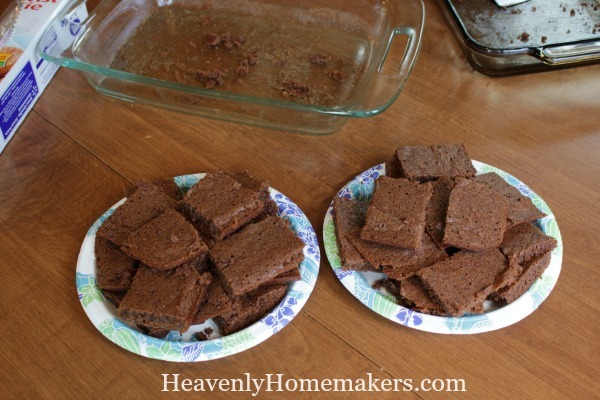 They were a hit, and the mixes helped me get the brownies into the oven in less than five minutes! As if the Stir-and-Pour Bread recipe isn’t easy enough, I found that having Stir-and-Pour Bread Mix made it that much easier. The picture turned out fuzzy, but the bread turned out beautiful – and it was perfect for a busy day recently when we needed bread to round out our lunch. 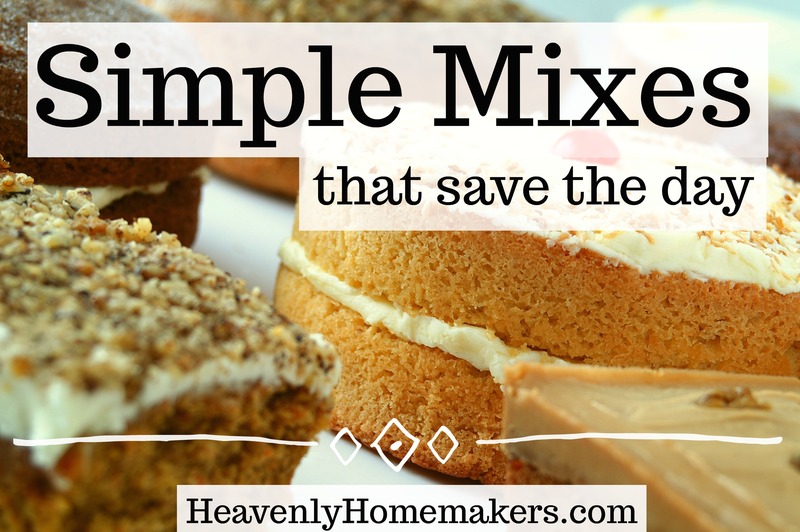 I’ve created this Simple Mixes that Save the Day eBook full of these awesome mix recipes, and I’m giving it away for FREE to all Simple Meals members this week! Hi Laura. Whats the best way to mix the mixes? (sounds funny). Do you grind up the sucanat? If so, is it best to grind the sucanat before or after measuring. Thanks. Wondering what kind of containers you find are best for an airtight seal? 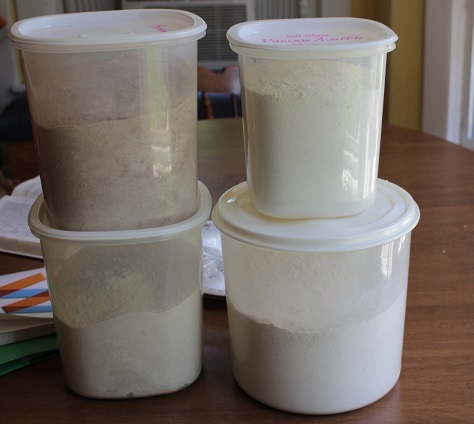 And how long might each mix keep (a use-by date)? I’ve seen mix recipes before and am tentative that they might sit around too long, as we’re using less wheat and bread-type desserts these days. I use good ol’ Rubbermaid type containers or big glass jars for these. Store them in the freezer if you’re concerned about them going bad. I’d say they’ll stay good in the pantry for about 1 month but in the freezer for several months (6 maybe?). 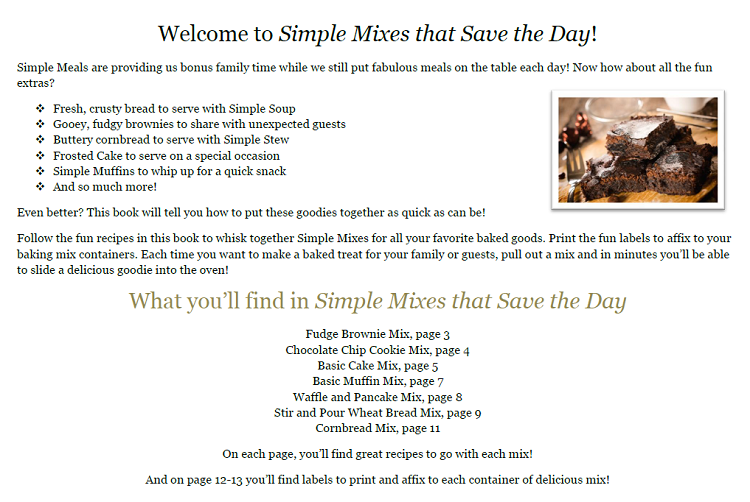 When I mouse on “The book full of Simple Mixes recipes is FREE for Simple Meals members! Details below. :)” I get to a Heavenly Homemakers website but I get an error message. What am I doing wrong? I’ve been a member for years. Help, please. Thank you for pointing that out! I fixed the error! Could these recipes be easily adapted for gluten free ingredients? 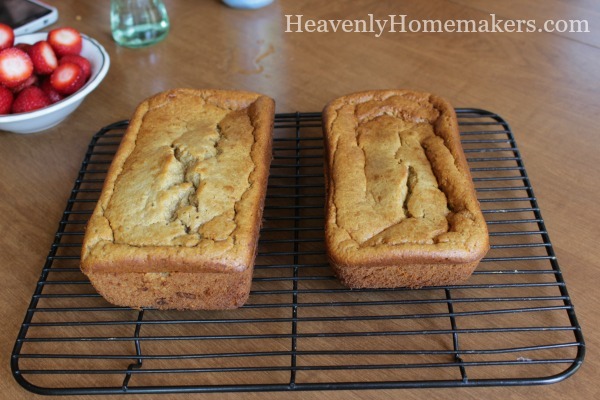 Yes, I think if you have a favorite gluten free flour mix, you can easily sub that out for the whole wheat flour in these recipes! Have you ever done a grain free mix?